Totally updated in great neighborhood! Walk to schools, hospital, and downtown. For Sale by owner, Seller to pay 2.5% to buyer agents. 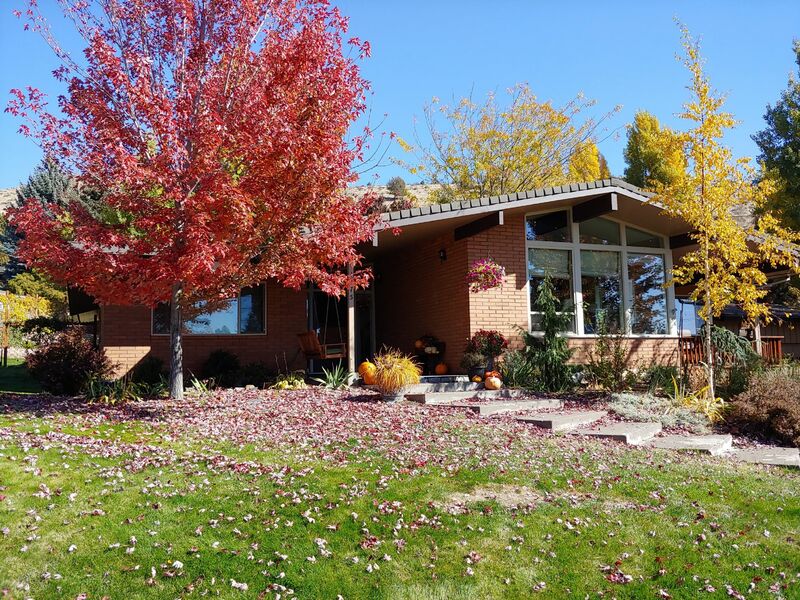 Beautifully updated Mid-century Modern home, walk to Hospital, Oregon Tech, Roosevelt Elementary, and downtown shopping. View of Mt. Shasta from front room and Kitchen. Bike paths, hiking trails all at your doorstep. 3 deck spaces. New gas fire place insert, new gas cook top, and new gas furnace, and equipped with AC. Fully fenced yard plenty of room for your pets and toys. Updates completed in last 5 years, new roof, new furnace, remodeled bathrooms, new flooring, all new paint, addition of bedroom/bonus room over garage, man cave with heat and work bench built in over-sized 2 car garage, and loads of new landscaping. Property has mature trees, two great producing apple trees, herb garden, loads of parking on corner lot, automatic sprinkler system, and terraced garden. We love our home, but need to down size, hope you love it too! Thanks for looking.